This beautiful and ornate crystal cup is an elegant way to show your appreciation! For a hardworking and dedicated member of your organization, or a champion at your competition, this engraved crystal award is certain to impress everyone in attendance at your award ceremony. 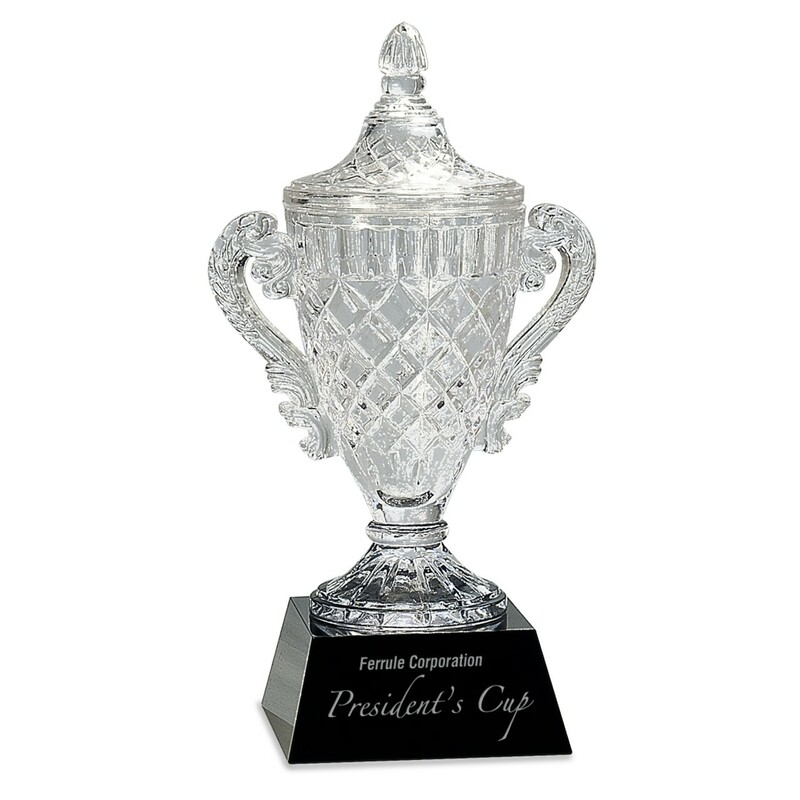 The Ornate Crystal Cup Trophy also includes four lines of custom engraving to personalize this elegant crystal trophy and create your perfect award. NOTE: The lid is not removable; this award is a single piece.